Each year, Samsung unveils a new Galaxy Note device in late summer that builds on many of the flagship features included with the Galaxy S handset launched earlier in the year, and 2019 looks set to be no different. Days after US mobile network Verizon announced plans to launch the first Samsung-branded 5G-compatible handset early next year – tipped to be the Galaxy S10 and Galaxy S10 Plus, rival carrier AT&T has all-but confirmed the next-generation Galaxy Note will be the next to support the lightning-fast network speeds. In a new press release, AT&T confirmed that it will offer a second Samsung smartphone with 5G support scheduled to launch in the second half of 2019. Like the Galaxy S10 5G announcement from Verizon, AT&T doesn't explicitly mention the Galaxy Note by name – but it really doesn't have to. "We’re pleased to announce we’re working with Samsung to bring another standards-based 5G device to AT&T customers in 2019. This smartphone from Samsung will be able to access both 5G mmWave and sub-6 GHz. We expect to offer this device in the second half of 2019," the statement reads. The release date of the latest Galaxy S and Galaxy Note devices are pretty consistent each year – although there was a delay to the Galaxy S8 launch following the disastrous battery recall with the Note 7 back in 2017. But failing a worldwide recall, when AT&T talks about a Samsung handset in the "second half" of the year, it's almost certainly a reference to the latest Galaxy Note, which typically launches between mid-August and early September. It remains unclear whether Samsung will launch an entirely separate Galaxy Note 10 variant that supports 5G – like it's tipped to do with the Galaxy S10, or whether the feature will be included in every model. 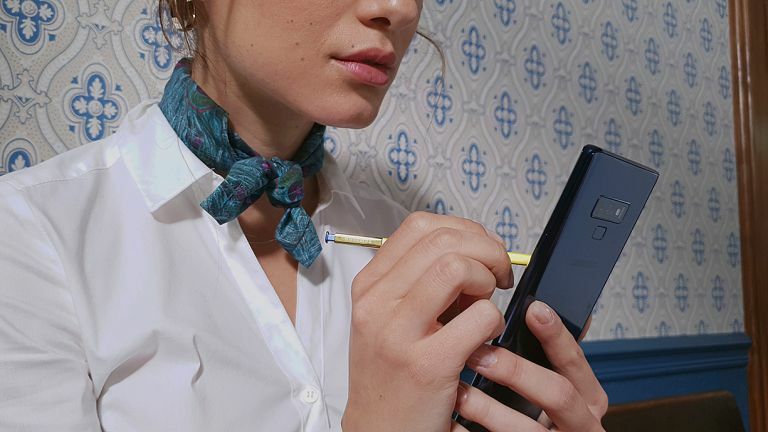 Little else is known about the Galaxy Note 10 at this stage, although we expect it to have a similarly edge-to-edge display design to the S10, as well as the ultrasonic fingerprint sensor unveiled at the Qualcomm Snapdragon Summit earlier this week.